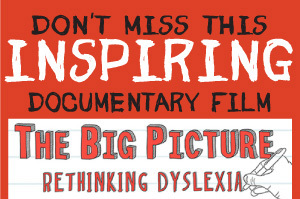 Click here to find out more about "The Big Picture - Rethinking Dyslexia". The Alison Lawson Centre provides a simple and safe medical programme for treating visual dyslexia. Examination and treatment are non-invasive and no drugs or coloured glasses are used. Visual recovery creating lasting results can be obtained in 10 one hour sessions, supported by structured home exercises. In many families with a dyslexic child there are other members who also suffer with similar difficulties. This is because visual dyslexia is hereditary. If you, the parent, are moderately or seriously dyslexic yourself, you may feel anxious about the prospect of educating your child. You however are the best support for your child as you can be an excellent role model who shows a natural empathy with your child’s struggles. Parents with literacy difficulties may benefit from employing the assistance of a private tutor as support for their child. They may also enjoy partaking in a phonic program along with their child. Sharing in the learning experience is a great way to engage with children and will help build a relationship of open communication and trust. It is important to emphasize the positive and ignore the negative, give praise for their achievements and simply focus on how to improve upon the mistakes. Important learning can take place through conversation, documentaries/educational videos and practical activities such as cooking, science experiments and craft. Visits to museums, animal parks art galleries make the learning experience fun. The children can take photos, collect leaflets and discuss their experience with family and friends afterwards giving them a greater understanding of what they have seen. With dedication, assistance and commitment there is no reason why a dyslexic parent would not be able to provide an appropriate and effective home education. If you suspect you may have dyslexia or struggle with literacy, you may benefit from being assessed for the condition. Visual dyslexia can be treated from age five and up. The Alison Lawson Centres have successfully treated Grandparents, Parents, Teenagers and Children. Some family members choose to be treated at the same time, supporting each other and sharing the experience.